This article is part of a series. You can read Rabbi Katz’s original post, Rabbi Rosensweig’s response, Rabbi Klapper’s response and Rabbi Katz’s response to Rabbi Rosensweig. Thank you for offering me your direct and critical feedback, thereby affording me the opportunity to clarify my opinion. 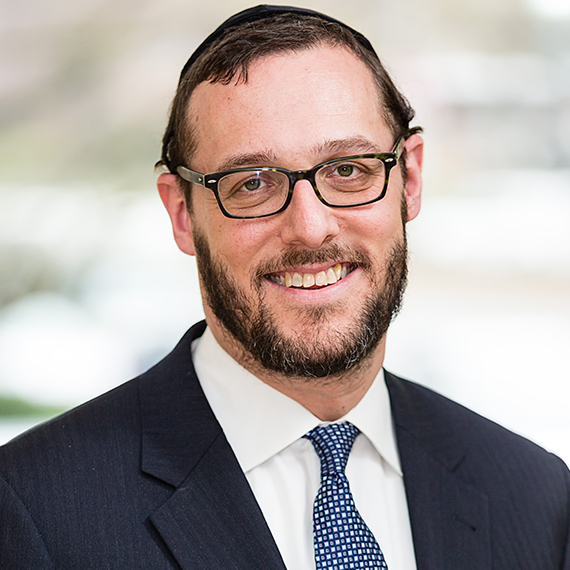 כך היא דרכה של תורה זה בונה וזה סותר; the constant push and pull of claim and counterclaim is integral to the very essence of psak. Nevertheless I will be brief, because most of the questions you raised have already been discussed at length in different fora. R. Aryeh, while I appreciate your critique, it is clear to me that you missed the key points in my teshuvah and consequently turned עיקר intoטפל and טפל into עיקר. You emphasized the secondary claims I made but completely ignored my primary arguments. As I made clear in my initial essay, my teshuvah is a response to the essay on this issue written by the Frimer brothers. The best way, therefore, to understand my arguments is to first thoroughly read what they wrote and only then look at my response. Reading it otherwise makes one miss the main points and, as a result, misconstrue the primary arguments. I therefore will briefly restate my debate with the Frimer brothers and then respond to your specific critiques. The Gemara in Megilah (23a) says two things: 1) that women technically can get aliyot and 2) that they nevertheless should not be called to the Torah because of k’vod hatzibur: having women read from the Torah is an insult to the dignity of the community. That is how that Gemara has always been understood – that it is mutar from a purely legal perspective, but nevertheless not implemented because of (halakhically-sanctioned) social and communal concerns. The Frimer brothers come along and make a radical claim. They want to argue that almost nobody allows women’s aliyot, not just because of k’vod hatzibur, but me’ikar hadin. In order to sustain that claim, they have to offer a far-fetched reread of the Gemara – the same text that, on a simple read, seems clearly to say the opposite: that there is no reason, me’ikar hadin, to prevent women from reading from the Torah. The gist of their argument is based on their claim that almost nobody allows women’s kri’at haTorah, even me’ikar hadin. They arrive at this conclusion by making a numerical claim. 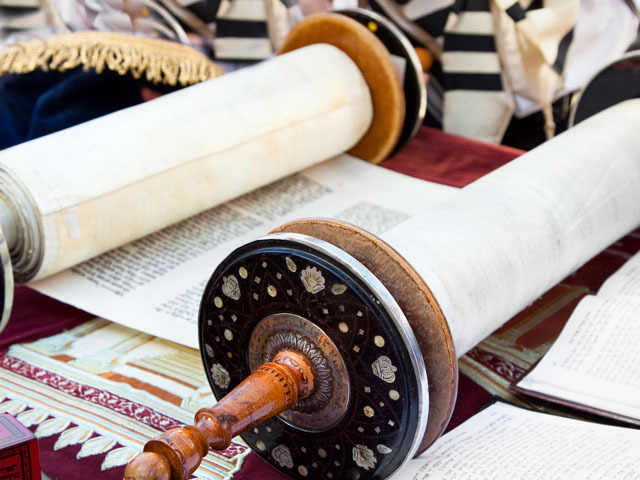 They believe that if one were to count all of the opinions on the issue, one would realize that ALMOST ALL of the poskim agree that women are halakhically prohibited from getting aliyot (reading from the Torah, and making the bracha). Consequently, one has to completely reread – in essence, rewrite – the Gemara that seemingly allows women to read me’ikar hadin. They reread the Gemara and pasken accordingly. They construe the prohibition against having women read from the Torah as twofold: legal (technically assur), and cultural and communal (because of k’vod hatzibur; asserting that having a woman get an aliyah and read from the Torah would still be an insult to the dignity of the listeners). What they said simply is not true. There are many reliable and prominent poskim who think that women indeed can halakhically get aliyot. Even if women’s aliyot were once assur because of k’vod hatzibur, that prohibition is no longer applicable because the reality has changed. At the very least, the people who currently attend Partnership Minyanim are not offended at all by women’s kri’a. It therefore no longer is assumed to be an insult to the tzibur’s honor. Their methodology is flawed and problematic; psak-by-numbers is invalid. One cannot merely collate shitot and then decide who is right based on sheer numbers. This also comprises my main refutation of the Bach. The Bach (Orach Chaim, siman 53) asserts that prohibitions that are made because of k’vod hatzibur are takanot (Rabbinic decrees, not mere suggestions) and therefore are always binding, even if the tzibur is willing to forgo its honor. First, this is a completely novel chidush with no basis in any of the Rishonim or Achronim. Next, even if we were to grant the Bach his claim, it would apply only in cases in which there is, in fact, an issue of k’vod hatzibur. In order to debate the issue of being mochel al hakavod, there must be a sense that someone’s honor or dignity is being compromised by the action in question. In the time of Chazal, a man’s dignity probably would have been insulted by many things that are now deemed normal and normative, respectful and respectable, permitted and even preferable – such as women’s participation in medical professions, government, business, and many other realms. Women’s education is accepted and encouraged. Even in the most conservative circles, women often are expected to be breadwinners, which may entail speaking intelligently in front of others. Today, men who listen to women’s kri’a are not allowing their dignity to be denigrated, and thereby negating the rabbis’ decree; instead, women’s aliyot and Torah-reading are no longer an insult. The social reality is different from the one Chazal were addressing. We are not rejecting a decree; the decree is simply no longer applicable. It seems to me, R. Aryeh, that you completely overlooked this fundamental aspect of the discussion. Instead of focusing on my main argument for why k’vod hatzibur no longer applies, you focused on my secondary argument, that perhaps the issue of k’vod hatzibur was cited as a mere suggestion, not as a prohibition – an argument I added only כיהודה ועוד לקרא, as a complementary claim to my main argument. I also am taken aback by your feeble attempt to do away with my second critique of the Frimer brothers. I, לענ”ד, made a strong and comprehensive case against their methodology of psak. I fail to see in your words a proper response. While my אבל אמרו assertion is secondary to my main argument, it is, nevertheless, correct. Chazal in this case use a unique formulation to express their desire that women not receive aliyot. Instead of using the emphatic אסור or at least the negative imperative אל, they use the combination of אמרו and לא. This unique formulation implies suggestion rather than prohibition (“they said” and “should not” instead of “they decreed,” “do not,” or “it is prohibited”). As I mentioned in my original essay, the Rishonim already noticed the inconsistency of Chazalic terminology. The paucity – or the lexical economy – of the Hebrew language often requires the Talmudic writer or speaker to use terms and expressions in more than one way. אבל אמרו is, therefore, used in three ways: 1) When the text says אבל אמרו … אסור, it clearly conveys issur. 2) When it says אבל אמרו and is not followed by the word אסור but it is clear from the context that it is a prohibition, the formulation indeed implies prohibition. However, 3) in the absence of explicit or contextual proof, the default interpretation, based on the particular and undoubtedly deliberate choice of words, has to be read as suggestive rather than prohibitive. In our case, the formulation conforms with my third category: the text does not explicitly say אסור, nor is it clear from the context that it is meant to convey a prohibition. Therefore, we have to resort to the default interpretation that this mild wording implies suggestion, not prohibition. I do not agree with your read of R. Moshe, but I ultimately do not need the R. Moshe for my main argument to stand. I therefore do not think that it is worthwhile for our purposes to belabor the minutia of R. Moshe’s opinion. Finally, and ultimately, I think there is a huge philosophical gulf between us: we bring different standards of proof to this conversation. Your standard is significantly more exacting than mine, partially, I suspect, because we have different starting points. You start with the assumption that women’s aliyot are absolutely assur and the onus is on the matirim to prove unequivocally that it is indeed mutar. I start at the opposite end. I assume that it is mutar (because the Gemara says so explicitly) until the osrim make a solid case otherwise. All the matirim need to do is provide plausible proof that it is mutar – i.e., to refute any claim that it is assur. They have satisfied that standard sufficiently, in my opinion. PS. I do not understand your critique of my read of the Tosefta (“אין מביאין את הנשים”). However, what I wrote above will suffice for now.